In 1880 Douglas Volk brought a group of Cooper Union students to the Sebago Lake region. He returned in the 1890s to look for a summer rental. His friends George deForest Brush and Percival Chubb stayed in the Lovell area and it is thought they were the ones to inspire the Volks to settle there. 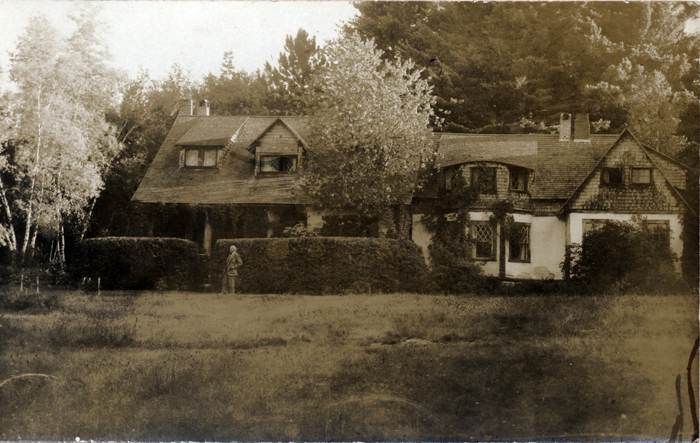 Marion Larrabee Volk jointly purchased the old Charles Hamblen farm with Carrie Stow Waite, a friend from New Jersey, in 1898. They divided the property in 1901 and Marion added onto her parcel to create a lot of about 25 acres. With her husband Douglas Volk, they renovated the farm house and added to it, calling it Hewnoaks. 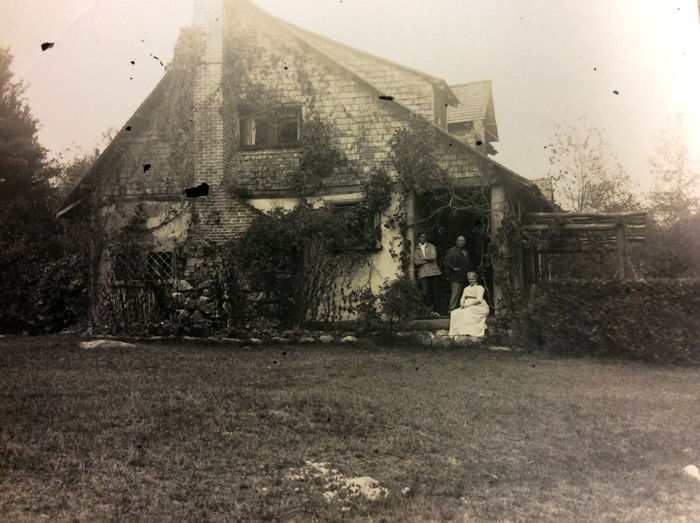 They eventually built four more cottages and an artist’s studio for Douglas, with space for their artist friends and craftspeople. Numerous people came to study with them over the years, and they had a wide network of friends among artists of the Arts and Crafts Movement. Among them were J. Alden Weir, Frank Benson, John Calvin Stevens, Childe Hassam, Steven Douglas, William Merritt Chase, John Scott Bradstreet, Felix Adler, and the Swedish woodcarver Karl A. von Rydingsvärd. 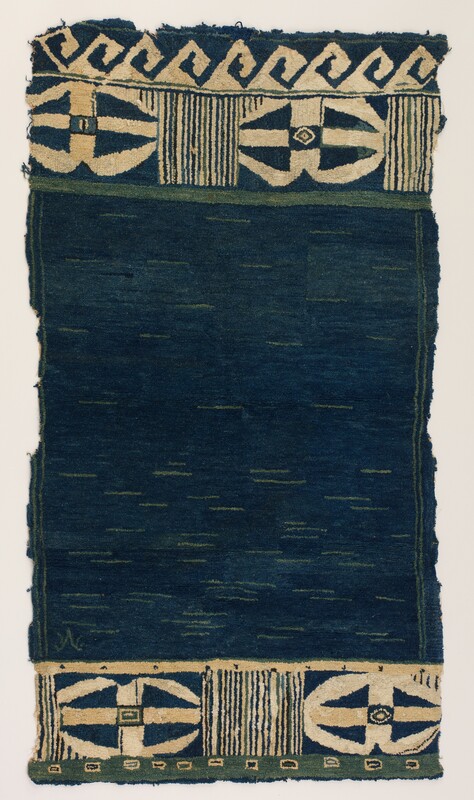 Marion became known for her hand-woven woolen work, created with her daughter Marion Volk Bridge. As part of a communal effort with residents of Lovell Centre, they made what were collectively known as Sabatos Rugs and Textiles and the Sabatos Handicraft Society. They hand-dyed the wools with fruit and vegetable dyes, such as apple tree bark, goldenrod, barberry, St. John’s Wort and madder root. Their designs were based on motifs from Native American art. Marion and Douglas’ son Wendell Volk, a printmaker and woodcarver, made a hand printed treatise on the Sabatos work from his hand presses and created silkscreen prints for the wool designs. In 2012, individuals in Portland with ties to SPACE Gallery were invited to propose a program to satisfy these goals, and later that year the first residents were invited to spend time in the cabins. For 2013, the group created its current independently-juried application process and its mission “to give artists time and space to create within a natural, rustic environment.” The group incorporated as a nonprofit organization in 2013 with recognition as tax-exempt 501(c)3 charitable organization by the IRS in 2014.